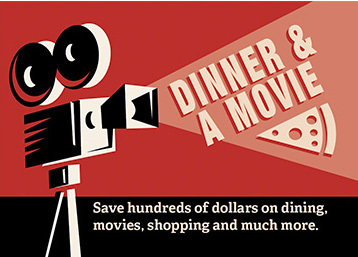 Everyone loves a dinner & movie to relax on Friday night or during the week-end. And, who doesn’t like to save money? 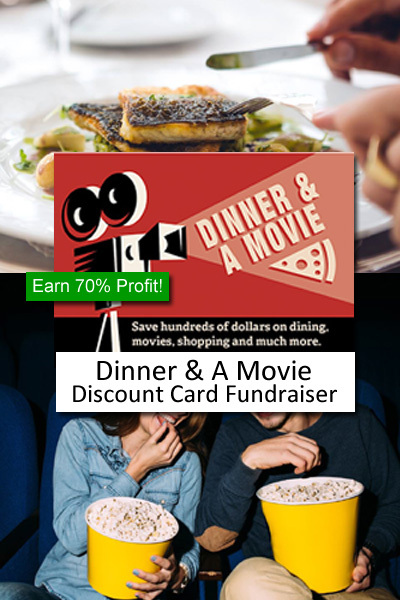 These Dinner & Movie Discount Cards will be your favorite fundraiser! For only $10 per card, customers will receive discounts up to 50% in their favorite restaurants and theaters. And, this in one of the highest profit fundraisers you’ll find. Even at the lowest 60%, it is considered high profit. Plus, it’s so easy. 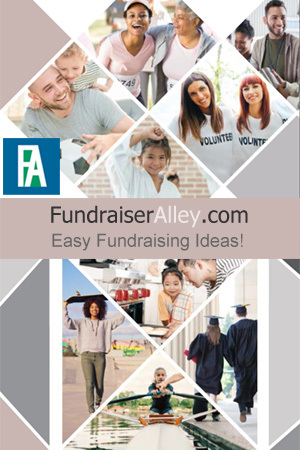 We suggest ordering at least 5 cards per fundraiser participant. Participant then sells their cards to friends and family. Phone 1-866-826-0944 to learn more or to place your order. Custom card when ordering over 500. The more cards you purchase, the lower the price, thus giving you a higher profit. If you purchase 50 to 74 cards, you’ll pay $4.00 per card and earn 60% profit. If you purchase 75 to 149 cards, you’ll pay $3.50 per card and earn 65% profit. If you order 150 or more cards, you’ll pay $3.00 per card and your profit will be 70%! This is an easy fundraising idea for schools, sports teams, groups, clubs, and churches. Discounts for dinner and a movie will be popular with all of your supporters. Who can resist?